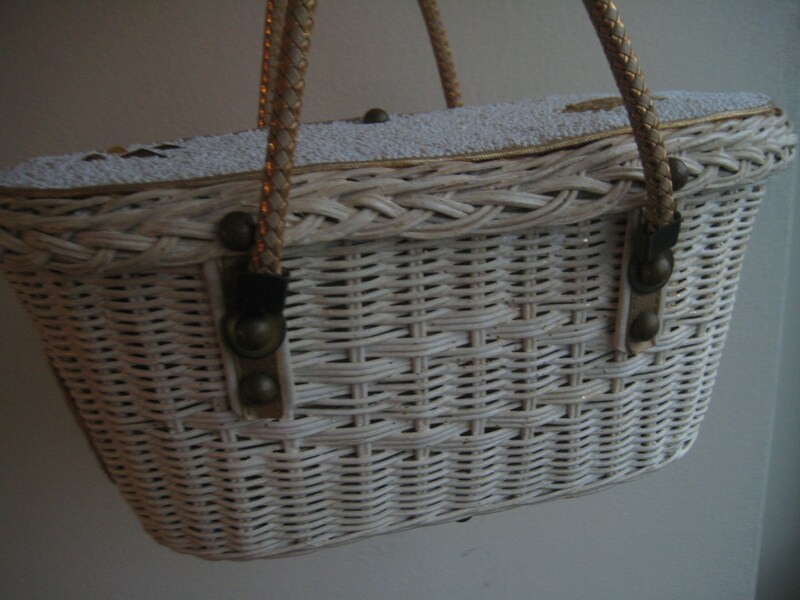 Super stunning elongated white wicker bag by Midas of Miami. OMB - it's amazing! 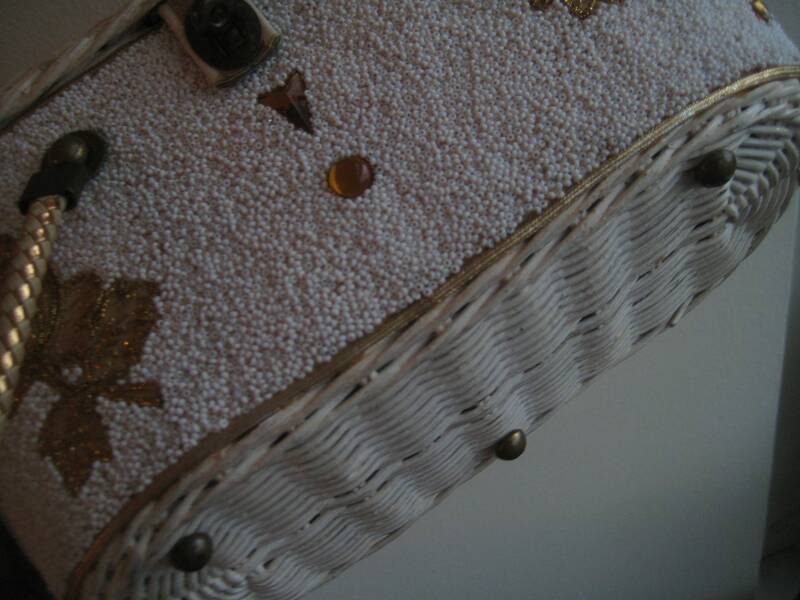 Half wrap around the body with glued white beading and applique gold flowers. Top is also covered with a seeded wrap. Gold braid frame on the wraps. 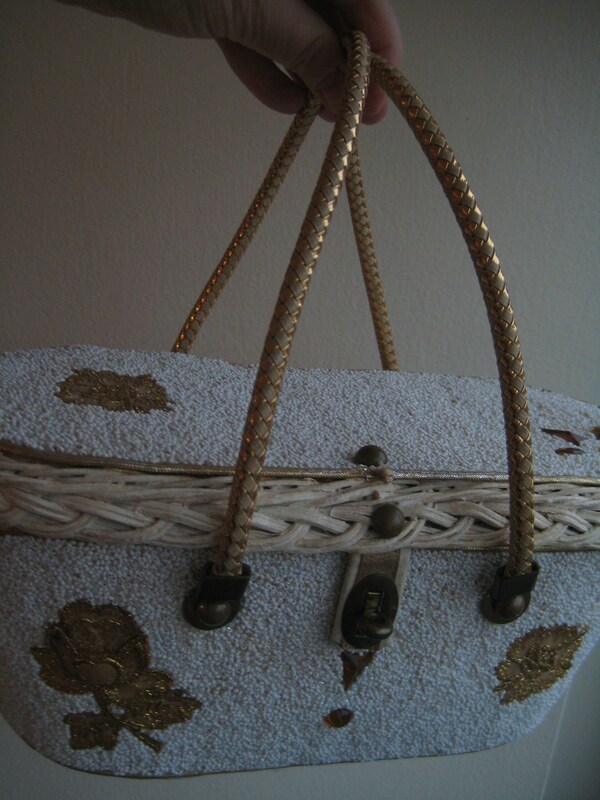 The double handles are woven gold vinyl. Handles have a 5 inch drop. 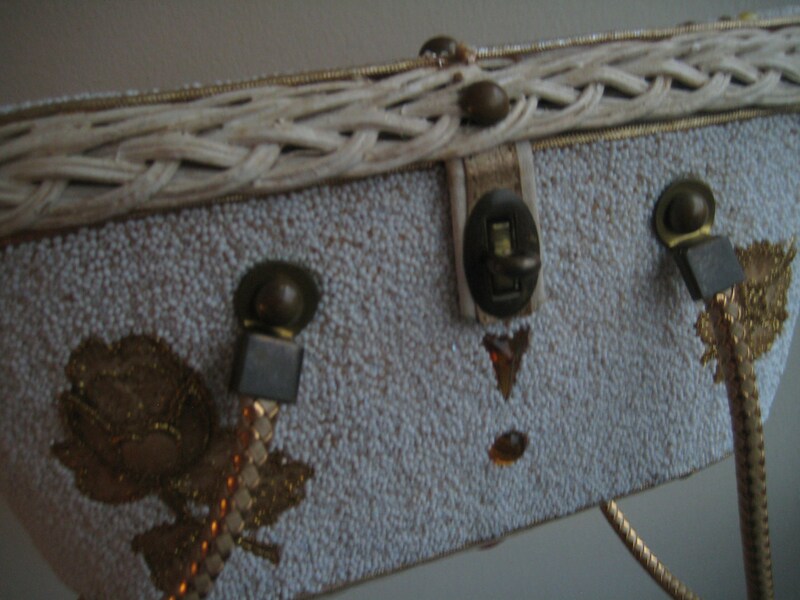 Gold tone metal attachments with a key hole closure. 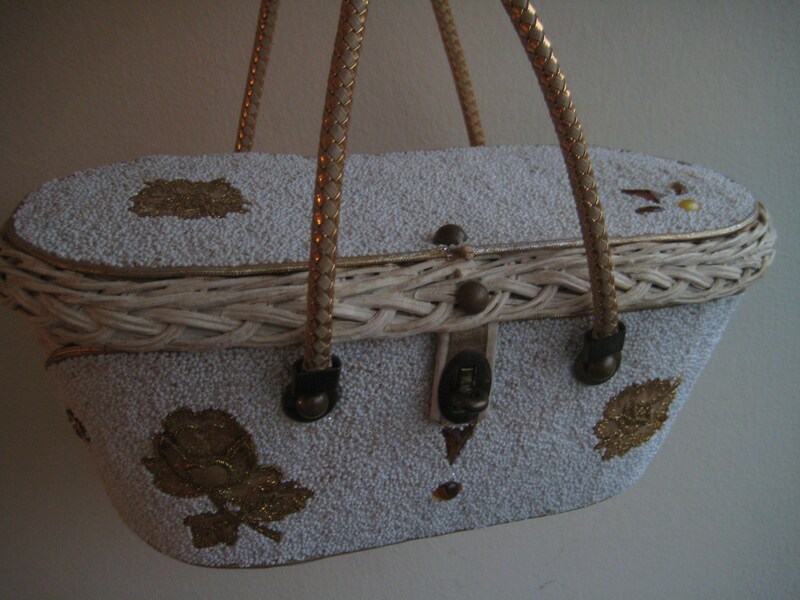 Interior is lined with a gold polyester satin. Lining shows some light staining. 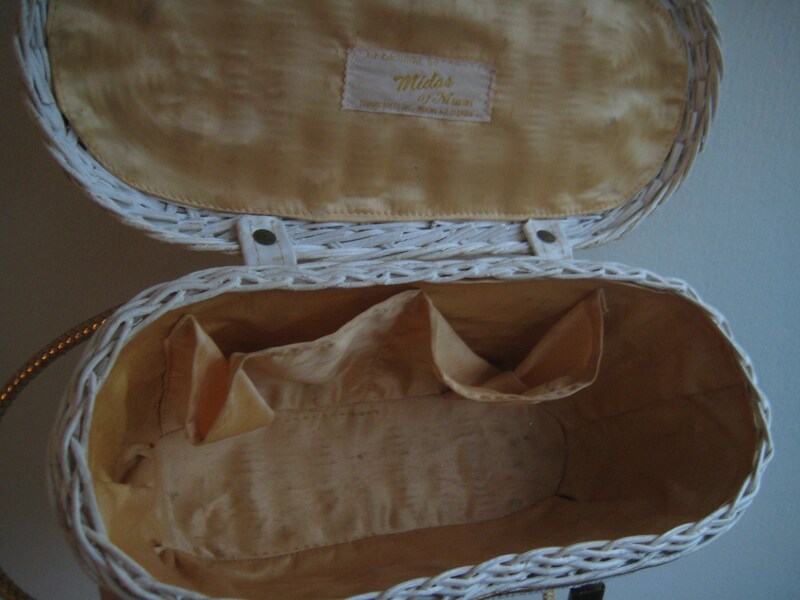 Two pouches and Midas of Miami label. A real collectible! Dimensions: 12 inches long x 6 inches tall x 5.5 inches wide at the lid. Narrow at the bottom.